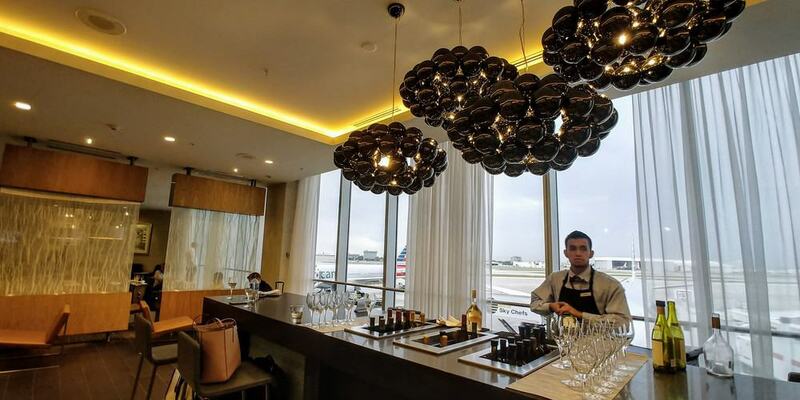 The Flagship Lounge in Miami was another home run by American Airlines. 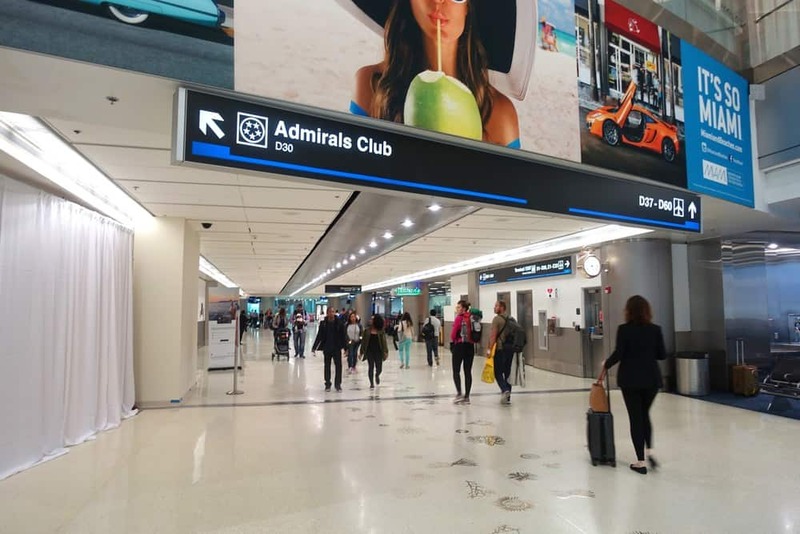 Despite the poor overall service we have experienced on several AA flights, the Flagship Lounges we have visited in Los Angeles, New York and now Miami all impress. 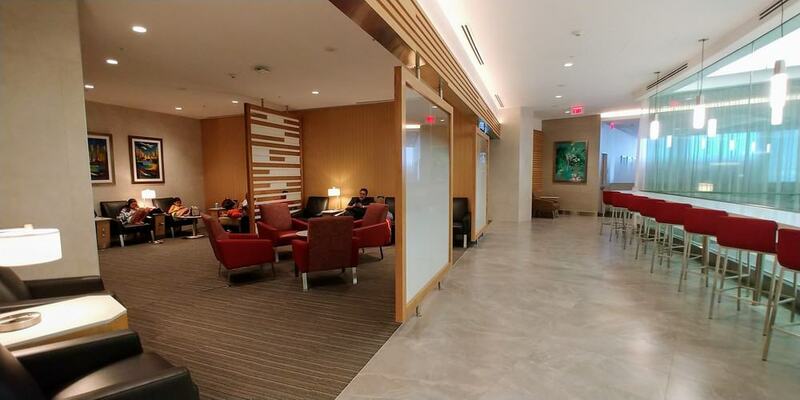 Since we had extra time during our layover Brandon snapped a quick walk through video to show you just how large the lounge was! AAdvantage Executive Platinum, Platinum Pro and Executive Platinum when flying qualifying international flights (see above), regardless of cabin. Open daily from 4:30a.m. 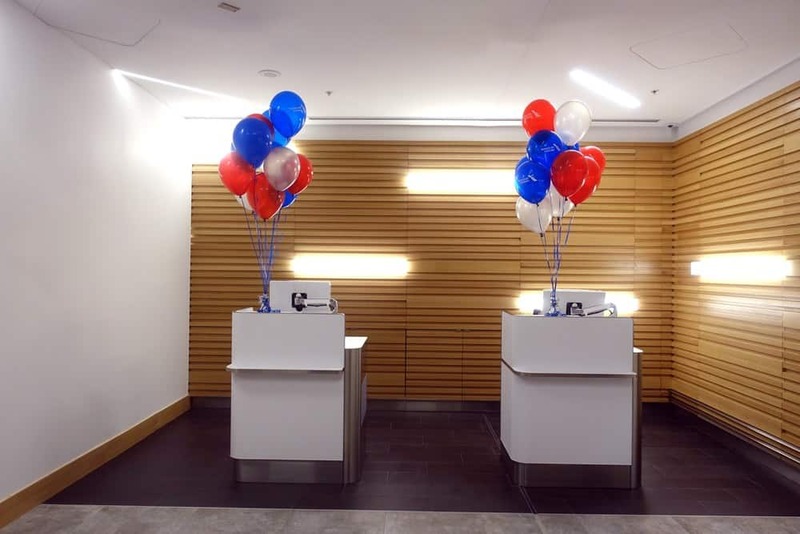 to 10:30 p.m.
At the entrance area was similar to the other Flagship Lounges. Beautiful, bright and airy. 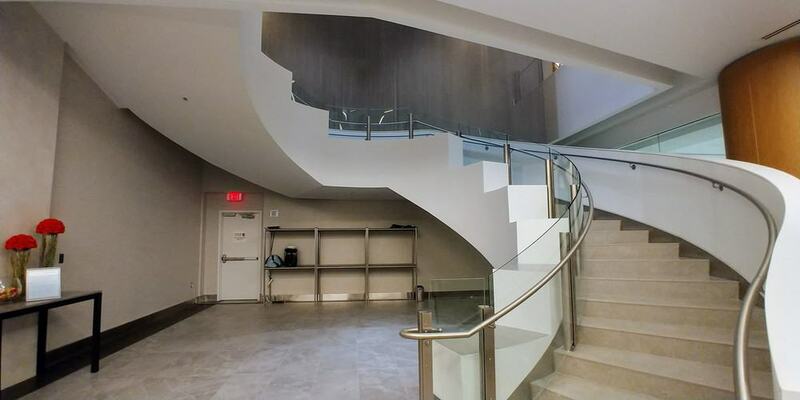 Follow the spiral staircase up to the second floor where the lounge area is actually located. At the lounge entrance, there were additional AA agents on the right to help with any flight issues. We were unfortunate enough to need their assistance after being stuck on the tarmac for several hours and ending up needing a new flight. The agents were wonderful assisting us the best they could. The lounge is simply massive. 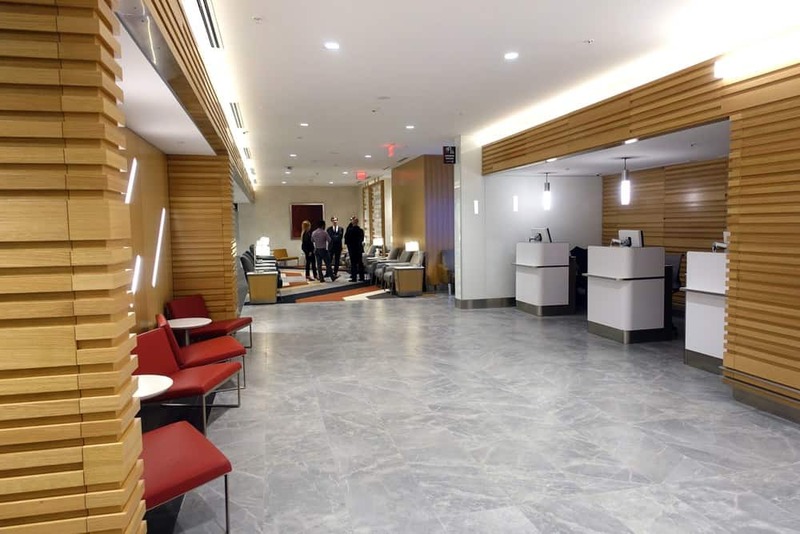 At almost 29,000 square feet, it is by far the largest Flagship Lounge. 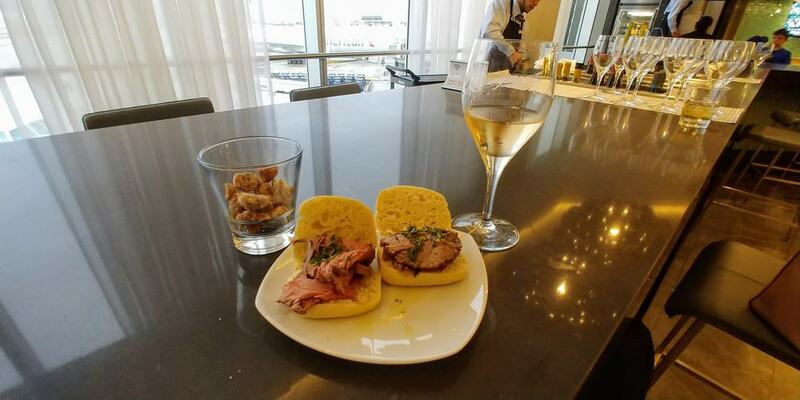 Even with all flights grounded and the lounge being much more crowded than usual, we were still able to find fresh food, seats and space at the bar. The lounge is laid out in a very large square with various rooms as you walk through. To the left seemed to be more of a quiet area with various rooms for relaxing. Most of you however will want to continue straight ahead to the buffet style food area, bar and Flagship First Dining area. Along the walkway is many choices for seating areas. There was plenty of private booths, couches, day beds, and different seats to chose from. 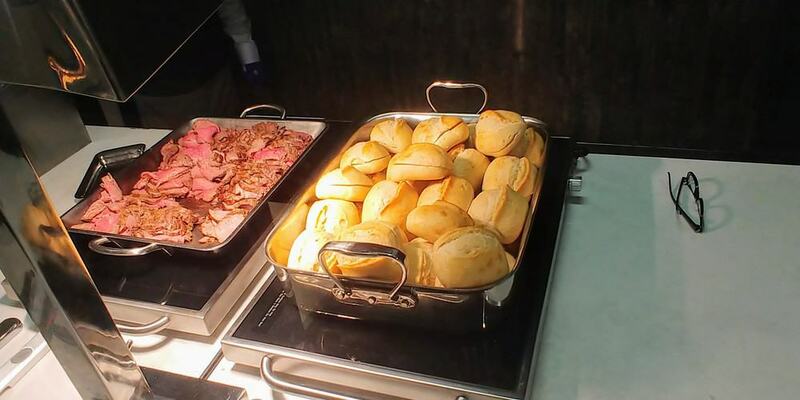 At the opposite end from the entrance was the main buffet with plenty of choices both hot and cold foods. 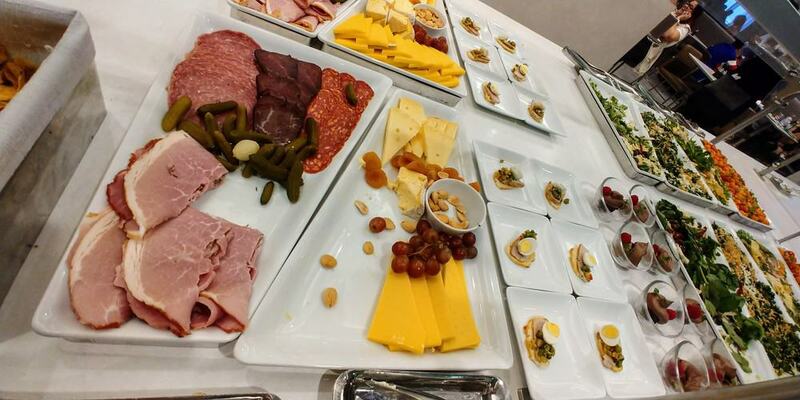 As per our previous Flagship Lounge experiences, all the food was fresh and full of flavor. 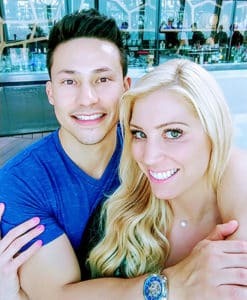 Some of the dishes included chicken orzo Florentine salad, kale and green-wheat Freekah salad, hearts of palms and avocado salad, Jamaican jerk pork medallions, zucchini latkes various assorted cheese and charcuterie, and much more. Since every flagship lounge has local inspired food choices we were pleasantly surprised by the chef making fresh Chimichurri steak sandwiches. It was so good we even went back for seconds.. and thirds. 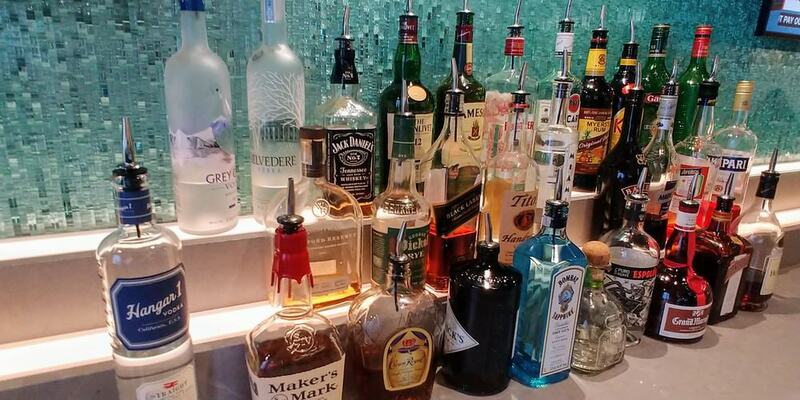 If you continue around the “square” past the dining room, you will reach the bar area. It had the same beautiful chandeliers as the Flagship Lounge in LAX. Large floor to ceiling windows in this area offered great views of the tarmac. Unfortunately we just saw stormy weather. 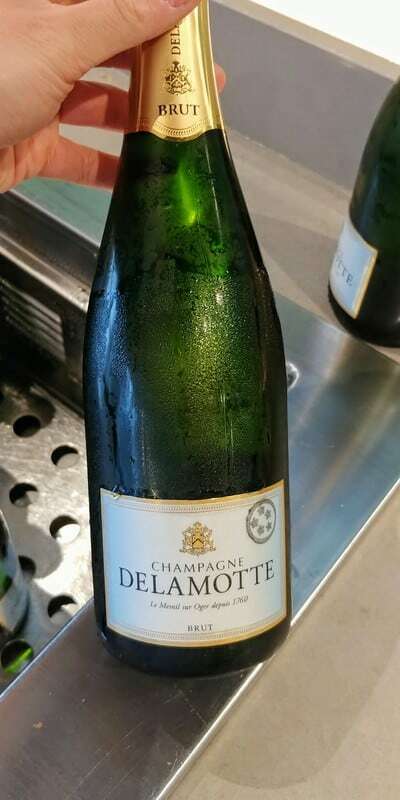 While originally the Flagship Lounges were offering Bollinger champagne, they have all switched to Delamotte. Continuing back towards the main entrance, there were options for more seating areas and another snack food station. Here we fell in love with Whiskey glazed pecans. We had to cut ourselves off after having 3 servings of these. While we did not get to visit the shower suites, they provide C.O. Bigelow products as the other Flagship lounges do. 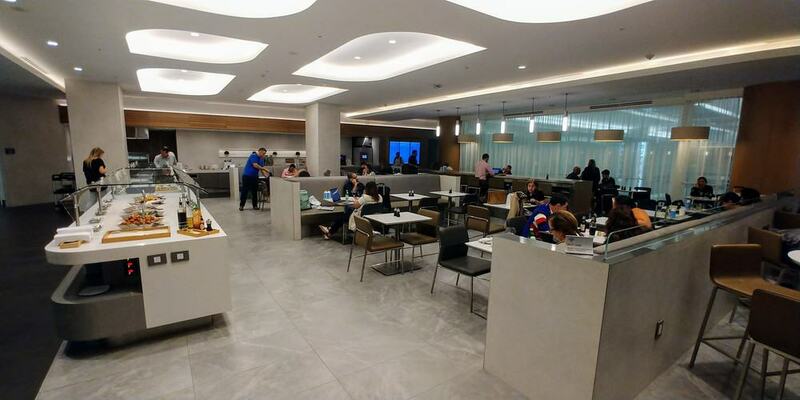 We continue to be impressed by American Airlines Flagship Lounges. 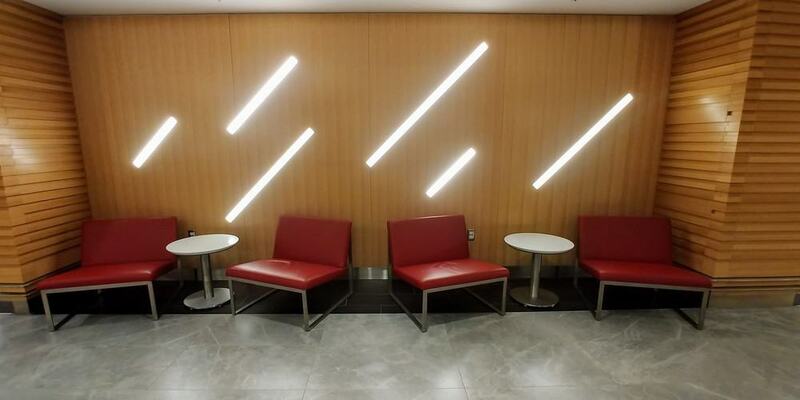 We place this lounge towards the top of our favorites along with the business class Cathay Pacific lounges in Hong Kong and business class Singapore Airlines lounges in Singapore. 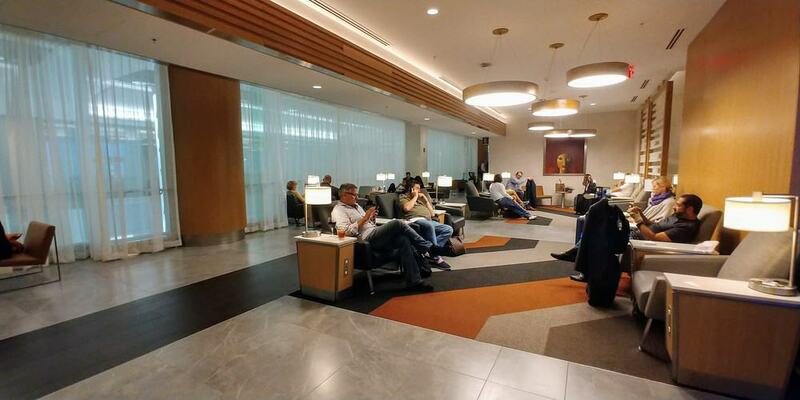 The Miami lounge is by far the largest Flagship Lounge at nearly 29,000 square feet, but was just as nice as the others. We also received great support over a flight issue we were having. Everyone was very helpful and friendly at this lounge. It is a must stop if you are flying any qualifying flights!